A Super Bowl squares pool can add even more excitement to the day of the big game. Winners involved in a squares pool are determined by the score at the end of each quarter or the full game. This page will explain how a Super Bowl squares pool works and how you can set one up yourself. As always, the information published below is for entertainment purposes only. 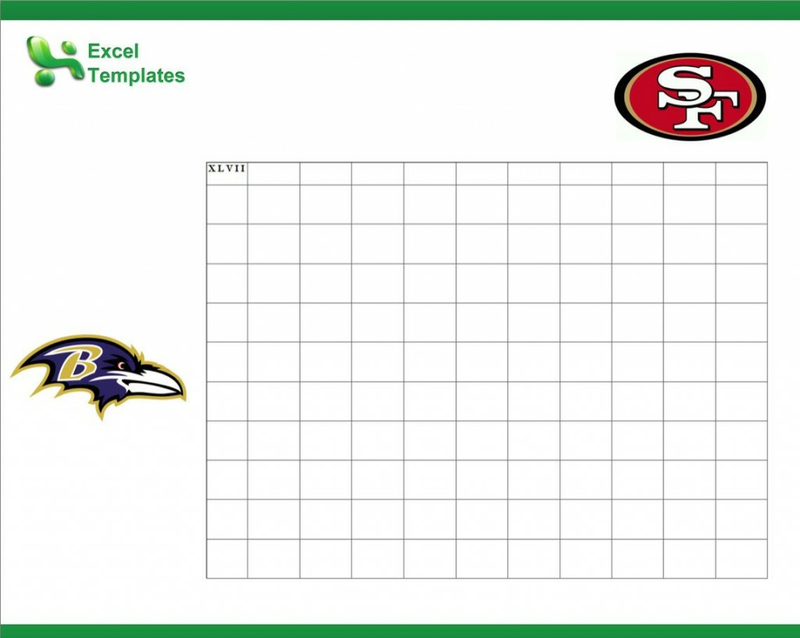 There are a few different ways to create a football squares contest. The most common way is with a blank 10-by-10 grid that will have 100 empty squares. You will input the names of the other competitors until all 100 boxers have been filled. Other players are normally free to pick their own squares because it’s a completely random draw. The teams and the numbers they will have won’t be revealed until later in the process, so no one will have an unfair advantage in the pool, including the person who is running it. Once all the boxes have been filled, the next thing you will need to do is list the teams who are playing in the big game. One team will go across the vertical line, while the other will go across the horizontal line. There is no special way to determine which team goes where. Finally, the number coordinates will need to be generated. This can be done either online or by placing the numbers 0-9 in a hat or other contraption and drawing them at random. The number will be placed in the corresponding box they are drawn. That’s it! Your squares pool is set and all you need now is kickoff. Now that the field is set and the big game is ready to get underway, it’s time to decide how prizes will be awarded. Some like to hand out gifts to winners at the end of each quarter, while others prefer a winner-take-all approach at the end of the game. Either way, every single play has meaning if you’re involved in a Super Bowl squares pool.